Lithium is the most widely used medication for treating bipolar disorder, acute mania and schizoaffective disorder It can be found under brand names Eskalith and Lithobid and it is useful in reducing the severity and frequency of mania. Also, this medication can significantly reduce suicide risk, prevent future manic episodes and help relieve bipolar depression. As every other medicine, Lithium may cause side effects and 75% of patients using it have some side effects, but they are mostly minor. It takes some time for body to adjust to the drug, probably couple of weeks. The common Lithium side effects are hand tremor (probably the most common side effect) , muscle weakness, diarrhea, increased urination, increased thirst and appetite, vomiting, drowsiness, weight gain, acne, hair loss, impaired memory, poor concentration, decreased thyroid function, cardiac arrhythmias. It is recommended to notify the doctor if any of this symptoms develops. Lithium can cause severe side effects and in that case a person should immediately seek for medical attention. Those severe side effects may be severe allergic reactions, such as rash, itching, swelling of the mouth, lips, tongue or face, difficulty breathing. Also, some severe symptoms may be blurred vision and vision changes, inability to control bowels or bladder, involuntary muscle movements and twitching, loss of coordination, ringing in the ears, persistent headache, slurred speech, coma and many more. Lithium is not recommended in pregnancy and lactation period, especially during the first trimester, because it can cause heart defect called Ebstein’s anomaly. This medication is pregnancy category D and has positive evidence of fetal risk. 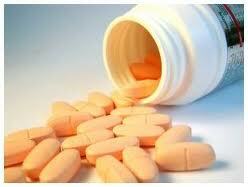 Breast feeding mothers should also avoid this medication. One of the most difficult aspects of using Lithium is that the therapeutic border of Lithium is narrow, which means that the the toxic blood levels are very close to therapeutic levels. For this reason monitoring of Lithium blood levels is extremely important. For patients who survive a poisoning episode it is possible to develop persistent neurotoxicity. Lithium toxicity may occur in patients taking excessive amounts of this drug or during ongoing chronic therapy, because high levels of Lithium may accumulate. Previous story Washington Dentist to Keep Up Your Smile!